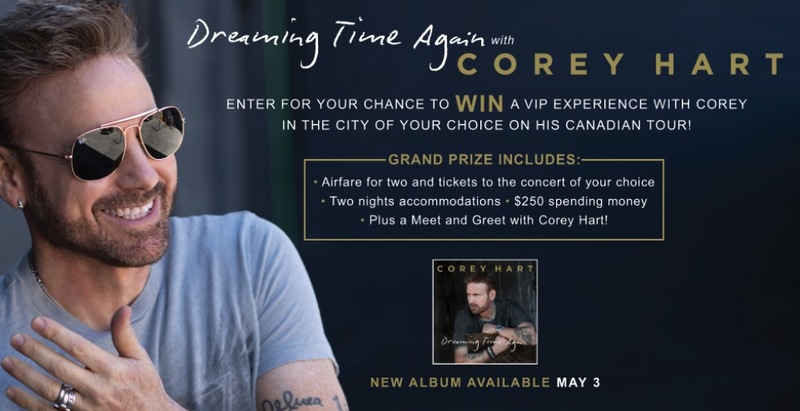 Enter now the Canada.com Corey Hart Contest, in it, you could Win a trip and VIP experience in the Canadian city of your choice. This contest is open only to legal residents of Canada who are at least of the age of majority in their province or territory of residence. To enter you have to visit the official contest webpage and completely fill out the online entry form with your name, last name, age, email address, phone number, address, postal code, city, province and your choice of Concert City, agree to the terms of service and submit it. This contest closes at 10:00 am ET on April 12, 2019. Winner will be selected by random draw from all eligible entries. There is one Grand Prize available, consisting of a trip for two to one of the Canadian concerts of the Corey Hart Never Surrender Tour. The Canada.com Corey Hart Contest begins at 10:00 a.m. ET on March 15, 2019 and ends at 10:00 a.m. ET on April 12, 2019. The draw will take place on April 12, 2019. Winner will be notified by email or phone.